A recent discussion on the DCT Forum reminded me of Malwarebytes’ new anti exploit software which, when I last looked into it, was still in Beta stage. Malwarebytes Anti Exploit is now out of Beta and available in the usual Free and Premium editions. Malwarebytes released the new software following its acquisition of ZeroVulnerabilityLabs, including the latter’s anti exploit technology. For home users who may be seeking an extra layer of protection, Malwarebytes Anti Exploit Free would be a very good choice. The free edition is pretty basic but does cover the main area of concern for most home users… browsers and browser add-ons. It also includes protection for the uber vulnerable Java. To add to the appeal, Malwarebytes Anti Exploit Free does not require any configuration or consume very much at all in the way of additional resources … in other words, it’s simple and lightweight. According to both independent and commissioned testing, Malwarebyres Anti Exploit is also highly effective, although as mentioned, the free edition’s protection is limited to Chrome, Firefox, Internet Explorer, and Opera, protecting both the browser and any add-ins, plus Java. 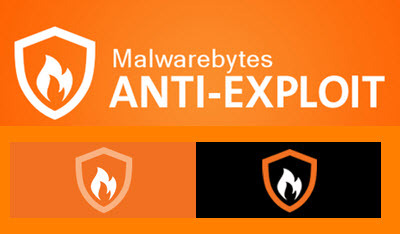 Malwarebytes Anti-Exploit is working as expected against all widely used exploit kit. It works on Java exploit where Emet wouldn’t. This product sounds like a good additional layer against unpatched (“0day”) exploits. I’m all for a layered security approach, particularly when a software adds something extra into the equation without unduly expanding on resource usage. Anyone still persevering with XP should definitely install Malwarebytes Anti Exploit, and it would also be a great choice for many Windows 7/8 users to add an additional layer of protection into their system, especially where zero-day exploits are concerned. 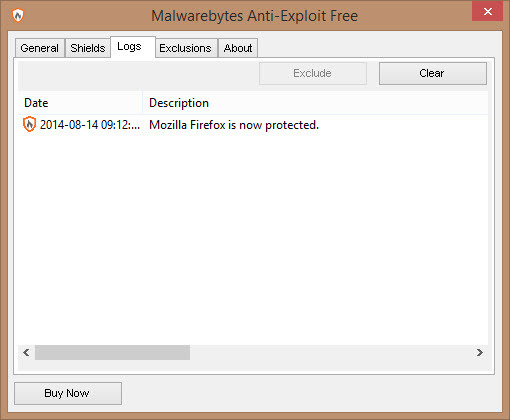 **Malwarebytes Anti Exploit Premium adds support for PDF readers, Microsoft Office applications, and media players. Plus the ability to add and manage custom shields… at a cost of $24.95us per year. Thanks Jim, I was totally unaware of this level of protection. I have downloaded it and installed. Thanks for what you do for us less than tech savy. You know what Ralph, it’s comments such as the one from your good self that make it all worthwhile. Thank you mate for posting your comment, very much appreciated. Thanks again Jim! This sounds like a great addition. I run Microsoft’s EMET 4.1 along with Malwarebytes Premium Edition on a Windows 8.1 computer. My question is do you think there would be any issues or benefit in using Malwarebytes Anti-Exploit? Also this recent issue of your newsletter has a lot of great articles! Robert, if you’re running EMET you do NOT need Malwarebytes Anti Exploit, it would be duplication. They both provide exploit mitigation, EMET is more comprehensive and most suited for enterprise (corporate environments and servers), MBAE Free provides basic cover for home users. Thanks, I know running two anti-virus programs is not a good idea so I wanted to check. I don’t believe the two programs, EMET and MBAE will clash in the same way as two antivirus programs would. According to Malwarebytes, MBAE will run alongside EMET okay… then, they would say that wouldn’t they. I have, however, read reports of issues with the two running in tandem; in particular, one where Firefox kept crashing under the protection of both EMET and MBAE until the user ended up solving the issue by uninstalling MBAE. I’m using the Premium edition since believe the extra value is worth a few bucks. We’re told to use layers of clothing in Winter, so why not apply the same principle to computer security, Mindblower! Dave, according to security blogger Kafeine, it works on Java exploit where Emet wouldn’t! What about SUPER AntiSpyware ? Check the SAS comments on Wilder’s. It appears they are improving the product to eventually have it competitive once again with products such as Malwarebytes Antimalware. I hope so as it was once a highly regarded piece of software. SAS and MBAE are not comparable, they are two different animals. SAS is “antispyware”, MBAE is “anti exploit”. You may be confusing MBAE with MBAM, which is “antimalware” and, as such, open to comparisons with SAS. Is there a conflict running MBAE and my antivirus software (Avast!) concurrently? No, none whatsoever. I am currently running MBAE with Avria on a Windows 8.1 system and MBAE with Avast on a Windows 7 system, both without any issues at all.